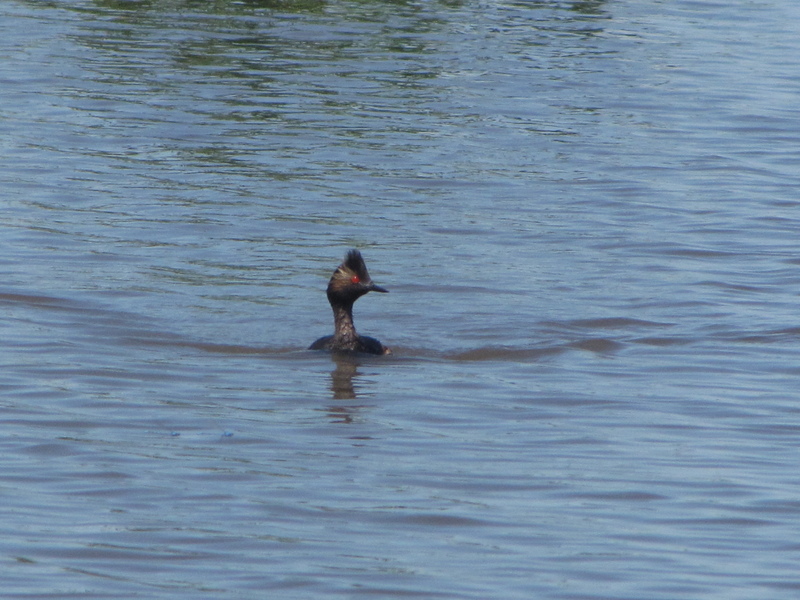 No-one correctly identified these two birds this week. 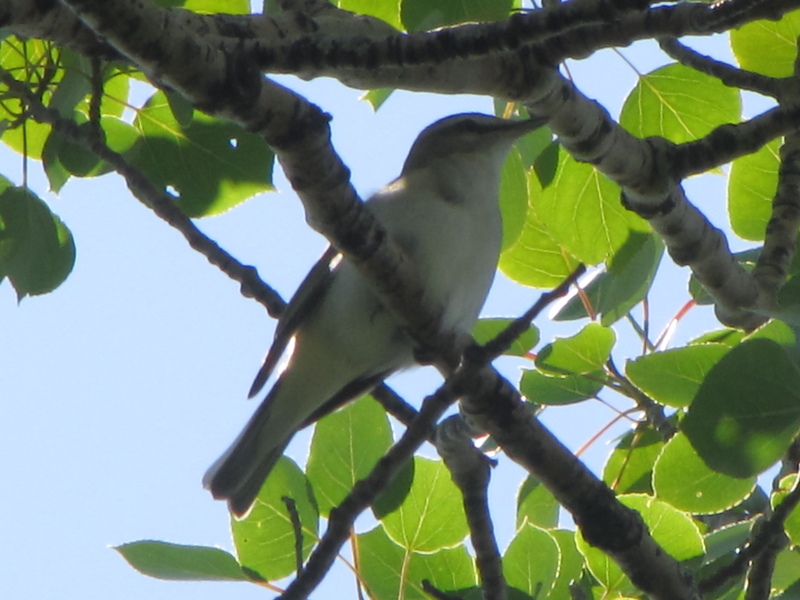 But thank you for guessing, Bob at Birds Calgary. Thanks for playing along! This is my third Bird Photo Quiz. 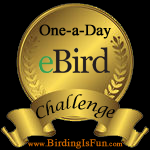 Please post your answers in the comments below and I’ll reveal the identity of the birds in a week, as well as those who have made the correct identifications. Click to enlarge the pictures. 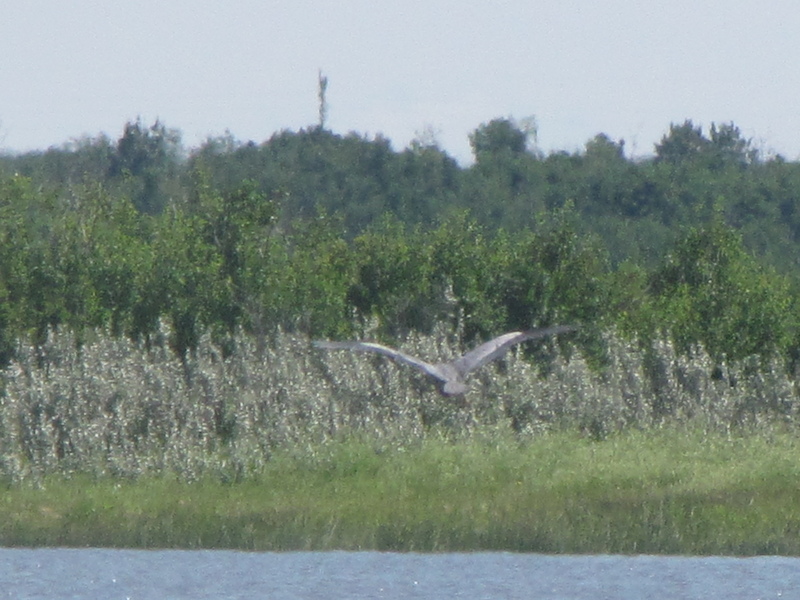 Here are the answers to my bird photo quiz #2 last week. Congratulations to Watching Seasons, Brendan at Catching the Thermals, Bob at Birds Calgary who all correctly identified the birds and Natalie at dreamfalcon who was very close. Thanks for all playing along! 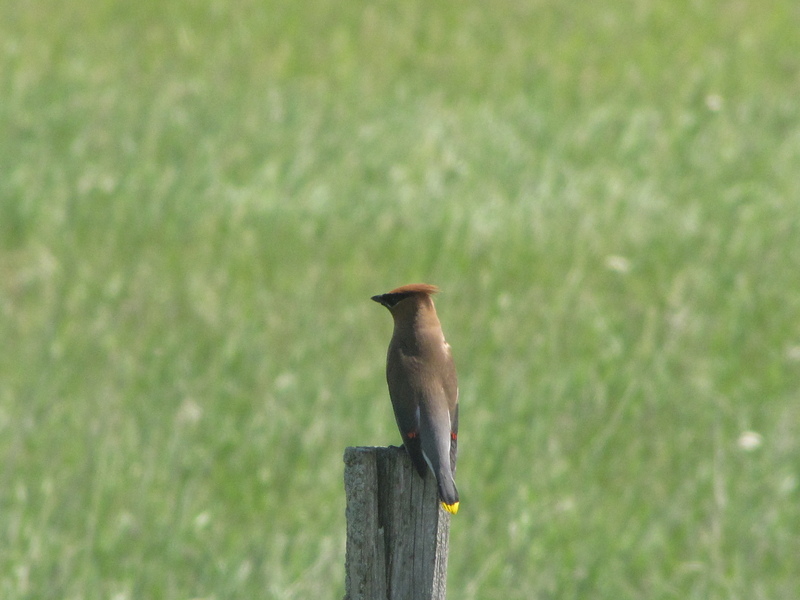 There are many Cedar Waxwings around our house. 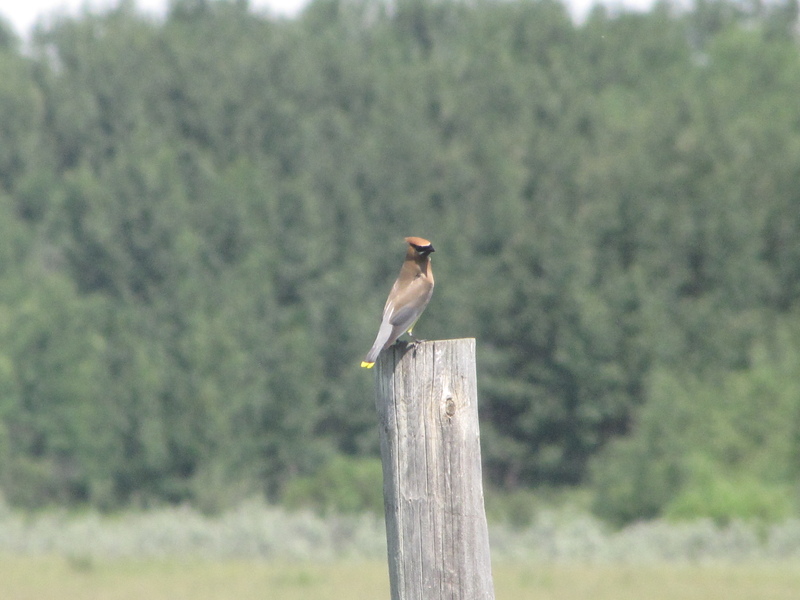 They glean insects and then land on fence posts to eat them. 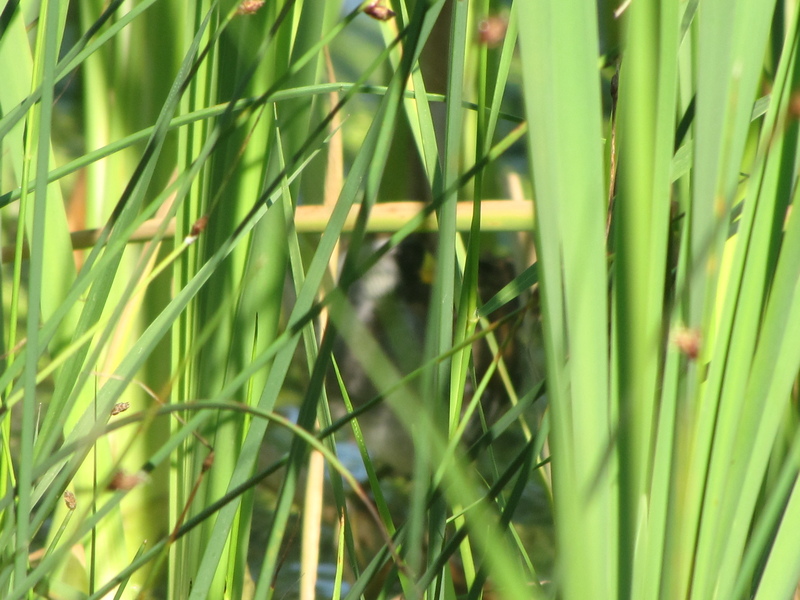 At the spring meeting of the [Canadian Government’s] Committee on the Status of Endangered Wildlife in Canada (COSEWIC) held in Charlottetown, PEI May 1-6, 2011, Threatened status was recommended for two more species of songbirds – Eastern Meadowlark and Barn Swallow. The addition of these two common species draws further attention to the plights faced by grassland birds and aerial insectivores. And today there was an article about declining Barn Swallow populations in British Columbia. 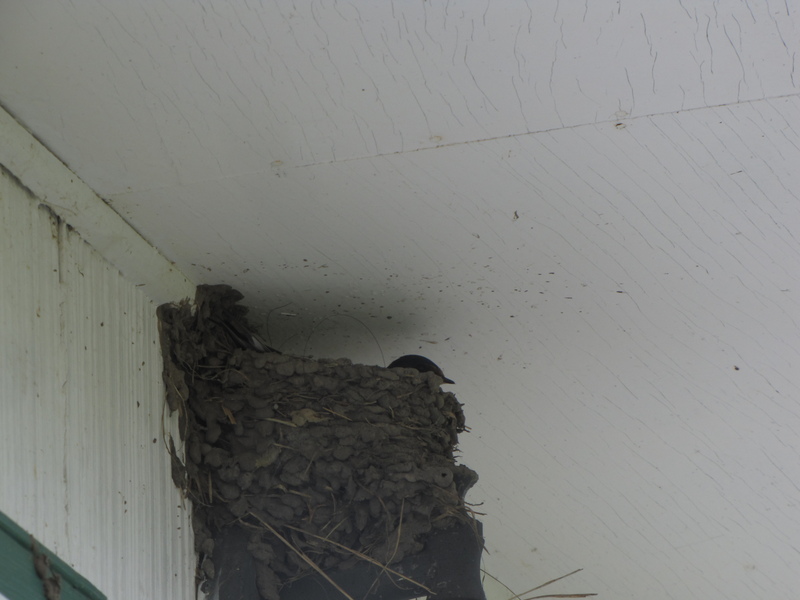 Since reading Pat’s post and the article, I count myself very lucky that three pairs of Barn Swallows are nesting in our yard. 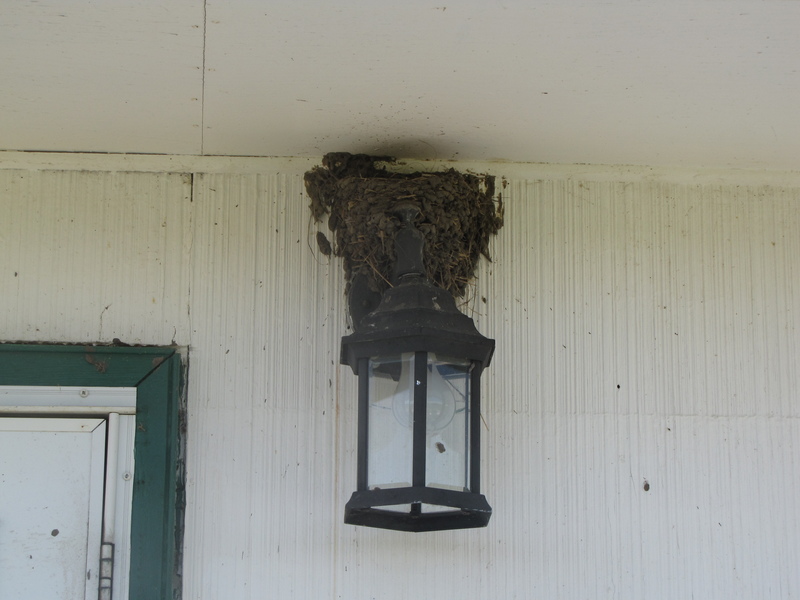 In fact, we have had Barn Swallows make nests almost every year, over the front door and various windows. I’ve taken an extension ladder to climb up and peek into the nest. 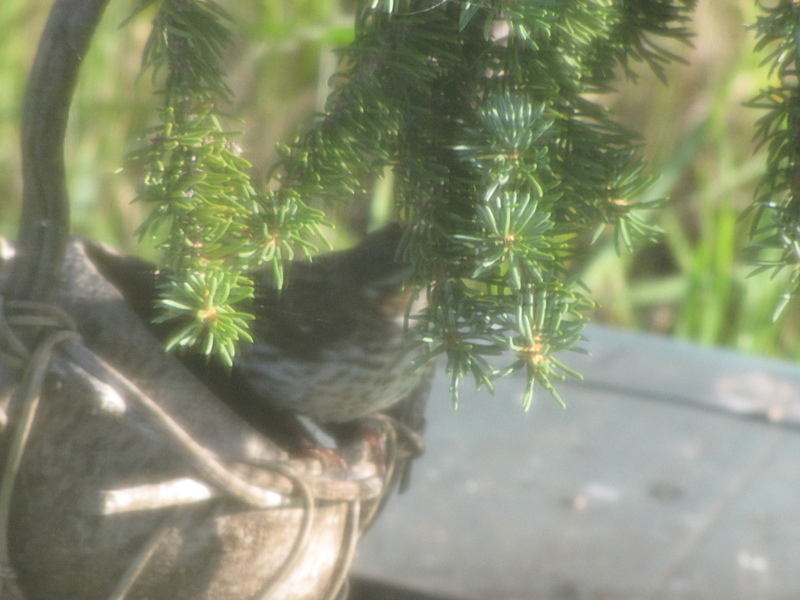 The last time I checked the nest there were four eggs, but the female might have laid more. I’ll have to check again soon. The birds don’t like it very much when we go in or out the door, they dive bomb me very frequently. 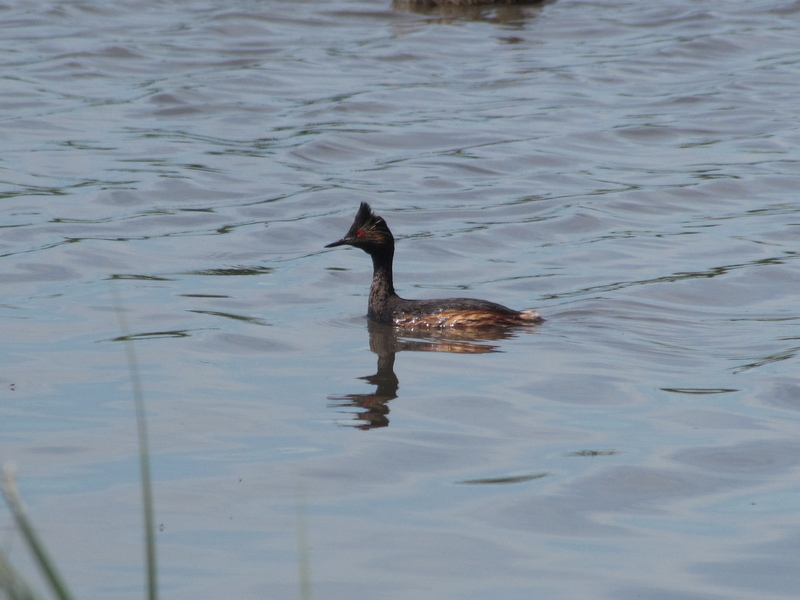 This is my second Bird Photo Quiz. In case the first one was a bit too easy (it seemed so for one commenter! ), maybe this will prove a bit harder. Post your answers in the comments below and I’ll reveal the identity of the birds in a week, as well as those who have made the correct identifications. Click to enlarge the pictures.